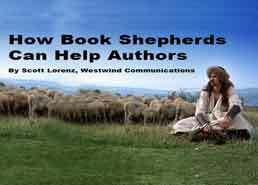 As a book publicist, I recommend you, the author, look into hiring a book shepherd for your current or upcoming project. A book shepherd is someone whose expertise in books and publishing will help you throughout the entire book process. From cover art, editing, dealing with Amazon to locating a printer, a book shepherd will assist you from start to finish. I am a proponent of using a book shepherd because there are so many things to know about in the book publishing process and so much is swiftly changing. It takes a person with experience to guide you along the way. Consider yourself fortunate if you can afford a book shepherd as it is well worth the money spent. Tanya Hall is a unique book shepherd in that she works for a national publisher/distributor. “So instead of working in a vacuum without any up-to-the-minute feedback on trends, pitches, etc like most book shepherds operate, I have the luxury of a sales force and team of experts behind me to guide the direction I give to my clients. Most of our clients “in development” go through an editorial project development phase, followed by any number of services ranging from design to printing to (if accepted for publication/distribution by our review committee) distribution and marketing.” For more information, visit her website http://www.greenleafbookgroup.com. Bobbie Christmas explains that her book shepherding style is rooted in an editing background. “After twenty years of editing magazines, newspapers, and corporate communications, I opened Zebra Communications in 1992 and specialized in editing books. As self-publishing grew and became an excellent way for consultants and other entrepreneurs to promote themselves and their businesses, I heard horror stories about otherwise intelligent people who made terrible decisions that cost them money and time and in the end often embarrassed them, rather than helping them get their books out to the public. I realized my clients needed more than editorial services, so I added book shepherding to my offerings.” Bobbie’s website is www.zebraeditor.com. 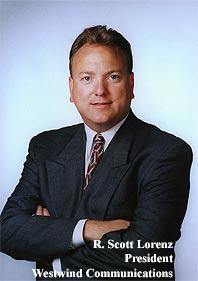 Mike Ball, award winning syndicated columnist and author of three books, offers unique assistance to new authors from his position on the front lines of the publishing wars. “Hey, it can be complicated, time consuming and downright confusing,” says Ball. “I just helped out an elderly author who got completely flummoxed by the forms Amazon threw at him. I understand it can be a daunting task for anyone. That’ why I am happy to assist for a reasonable hourly fee.” Find Mike at http://writeittight.com or call him at 313-405-7664. Rita Mills says, “I don’t much care for the term book shepherd’ as I feel what I do is more like herding cats than docile sheep. People come to me with either an idea or a manuscript and I project manage the process and assign a freelancer for an ala carte service as needed. Some just come to me with a manuscript that needs editing so they can take it to a traditional publisher, and some want me to take on the whole project from manuscript to marketing. I work with 30+ freelancers (some of whom I have worked with over 20 years) who do all kinds of editing, design, PR, marketing, indexing, ghostwriting, grant writing, etc. I know my people’s skill set and can assign the individual with the specific genre/skills needed. For instance, someone who might be good at editing a nonfiction title might not be good with a fiction title or a children’s book. I also specialize in children’s picture books and I have portfolios on upwards of 300 illustrators. I have packaged roughly 450 titles since my years as the managing editor of an academic press at the University of Houston. I left there in 1997 to start my company, The Book Connection. My projects have ranged from back-of-the-room sales to high-end coffee table books. I am also a print broker, and print worldwide depending upon the need and goals involved in a project” For further information on Rita and her services, please visit her website http://www.bookconnectiononline.com. The Bottom Line: If you can afford to spend a few hundred to a few thousand dollars on a book shepherd, I highly suggest you do so as it will help save your sanity! There are so many exciting changes in the book publishing business it’s practically impossible to keep up with them all. The book shepherd will help you through the entire process or just a piece of the process where you need it. 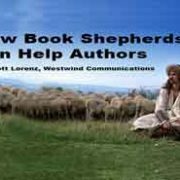 Be sure to check out Dan Poynter’s list of book shepherds below and get in touch with the book shepherd of your choice.